Our Lady of the Immaculate Conception School is a Catholic Parish Primary School for approximately 350 boys and girls from Prep to Year 6. Our multiculturalism is a very special feature of our school and we have a strong history of welcoming new and recent-arrivals to Australia. The diversity of our student population is an asset which gives Our Lady’s a richness from which we can all learn. Our school events and Liturgies are celebrated with much enthusiasm. Our curriculum is designed to challenge your child in a supportive environment. We want your child to feel confident, to be happy, to live by the values of the Gospels and to reach their full potential. In a spirit of unity and harmony, we strive to develop the whole person; providing an excellent education for all and inspiring our community members to live a Christian way of life. Sunshine College is proud of its reputation for producing fine young men and women, well prepared with the breadth of outlook and the essential learning skills they will need to become successful citizens in a rapidly changing global community. Our programs encourage the highest standard of achievement in every activity undertaken by our students. They focus on whole student development by embracing not only academic, sporting and artistic excellence, but also the building of self esteem, personal confidence, optimism for the future, and a strong sense of community responsibility. The friendly and supportive atmosphere at each campus is underpinned by a strong code of conduct, the wearing of school uniform, firm structures and clear expectations. In this positive environment students develop strong and constructive relationships with one another and with their teachers, as well as a sense of belonging to and being proud of their school. At Sunshine College both our teaching and support staff are totally committed to assisting every student to reach their potential and become well educated, responsible young adults, fully prepared for the world beyond school where they will undertake university and other tertiary studies, further training, and employment. 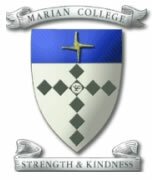 Marian College seeks to provide young women with the opportunity to be educated within a school environment that allows and encourages each person to develop fully as an individual, and as a community member. We educate 800 girls in a safe and secure environment; each girl knowing that she will be cared for and supported, through our strong pastoral care structures. We offer educational programs that are relevant, innovative and challenging. Curriculum is constantly renewed so that courses of study can continue to reflect the needs of our students, a wide range of options is available for students in the senior years, including VCE, VET and VCAL programs.